Elizabeth Bevon, 23, is a Raleigh ICS Nicaragua alumnus from Manchester. She Interviewed Mundiah Aftab, 17, who is a volunteer with Islamic Relief. 1. How can we make the Global Goals for Sustainable Development “famous”? Create a buzz. Young people today are the leaders of tomorrow. We need to instil passion now by creating a hype, by reiterating that there is a problem and it will affect us. We must nuture our future leaders and ensure the ideas are passed on, otherwise development will just be stagnant. 2. 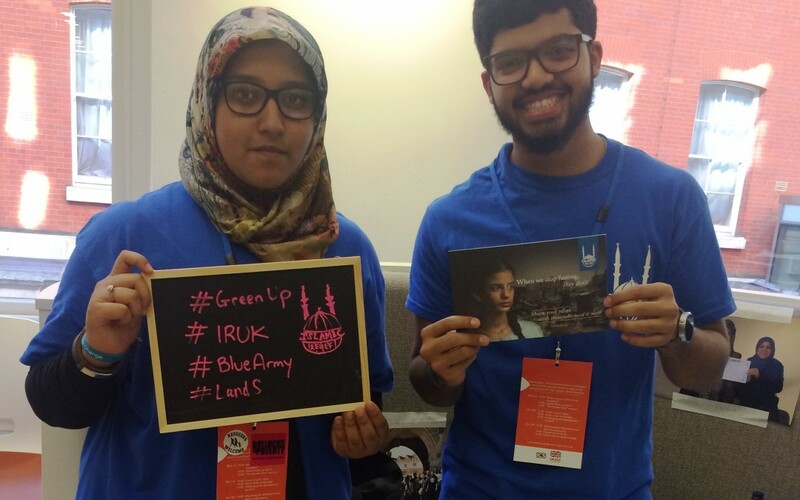 What made you sign up to take part in the Youth Summit? As a young person, I am passionate about grasping every opportunity to give input to change. We have only a short time and as individuals it may seem that we can’t do much, but we can be a piece of the puzzle. Working together we can achieve so much more and I want to share my passion with other young people. 3. If we do just one thing to work to meet the Global Goals, it would be…? Be an advocate. Be aware. And most importantly, make others aware.